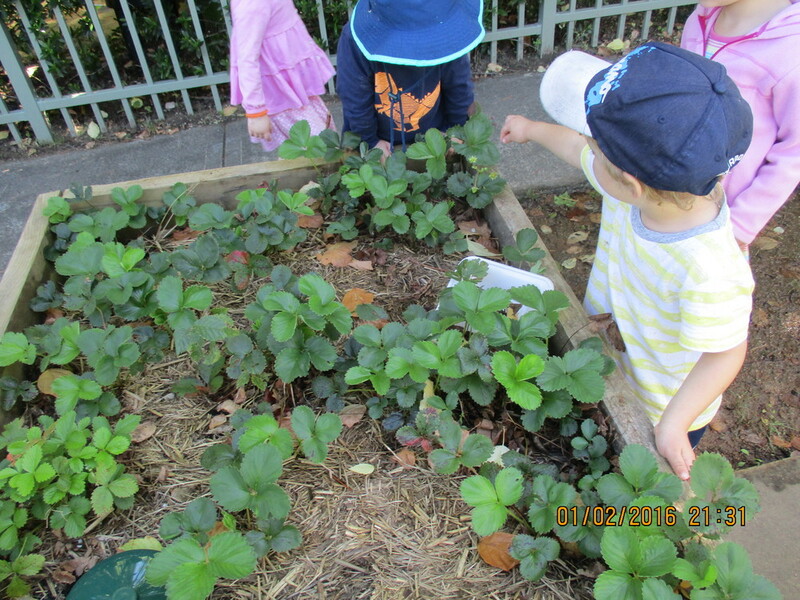 The children have been making potions in the outdoor environment and the other day we noticed that Holly made a pie. In the creative room, the children have been discussing some bush tucker, trying damper and kangaroo sausages. Putting these two things together, we entered the community section of the Southern Highland’s Pie Competition – creating a Bush Tucker Pie, with kangaroo and bush herbs and a yam topping! Some of the children were a little unsure of the pie, but others thought it was delicious! We hosted a super-successful Pie Drive. Thanks to everyone who ordered pies in the drive – we had an overwhelming response! Thanks also to Alicia Jones for organising this wonderful Winter Southern ‘Pie’lands fundraiser. Further thanks to Southern Rise Bakery for providing the pies. We thought it would be nice to share some of the pies with the preschoolers, so on Tuesday 19th June, we heated up some beef pies and apple pies for the children to sample. They received the thumbs up! Our Bush Tucker Pies ready for the Pie Fest Competition - sadly no prize, but they were winners in our eyes! Immunisation and Preschool - changing rules! The new rules don't just apply to conscientious objection - please refer to the link above to find out if the rules apply to your child/family. Holding Them Back: What age should kids really start school? 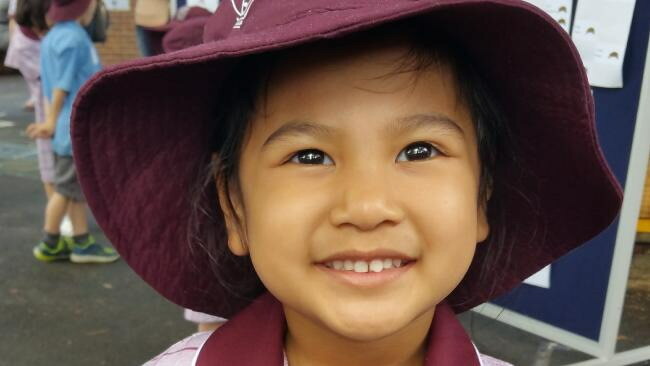 A CHILD’S first day of school is one for the photo album, a rite of passage for the whole family — but Sydney youngster Mada Worathampitak will now have two to remember. At four years and eight months, she started school this term only to be told in her second week that she wasn’t ready, and to come back next year. Her mother Pookie Ruengdach was told it was her maturity, not her ability, that was causing the concern, so she re-enrolled her in preschool. “My husband Tommy and I are migrants from overseas and we didn’t have any experience of Australia’s school system,” Ms Ruengdach told news.com.au. They decided to send her, but in her second week her teacher said it would be better to have one more year at preschool because she wanted to play instead of pay attention. “She could do it, but it was her maturity, not her ability,” Ms Ruengdach said. Knowing when your child is ready to start school can be a parent’s biggest decision, especially if they’re born in the middle of the year. 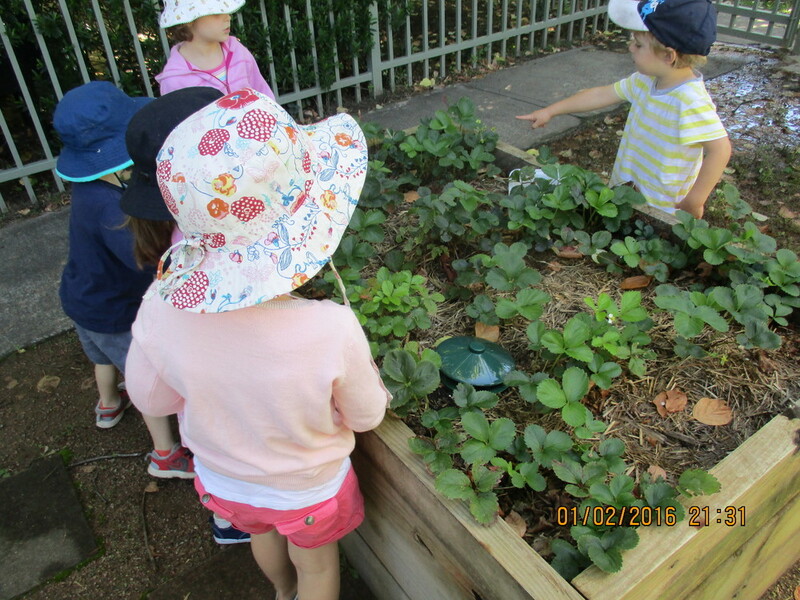 According to NSW Education, children can enrol in kindergarten if they turn five by July 31 that year, and all must be enrolled by their sixth birthday — creating a potential 18-month age gap in the classroom. Last year, just 1391 four-year-olds started at NSW primary schools, along with more than 53,000 five-year-olds and 15,816 aged six or over. Leshly Cook, a mum from Sydney’s northern beaches, held back her son, Sean, who will start school next year when he is almost six. “It was a very hard decision but as I worked administration for a K-12 girls school for over 15 years, I could see a few students who were repeated, or had to change schools to repeat a year. I also had personal friends who sent their children early [and] were told by their kindy and care givers they were ready, only to struggle for the first year of school,” she said. Willoughby mum Debora Feijo sent daughter Mariana to school when she was four years and 10 months, with the youngster now going from strength to strength in year 2 at Northbridge Public School. “We did debate holding her back, however the statistics and her personality proved me wrong over the course of those 12 months before she started school,” Ms Feijo said. 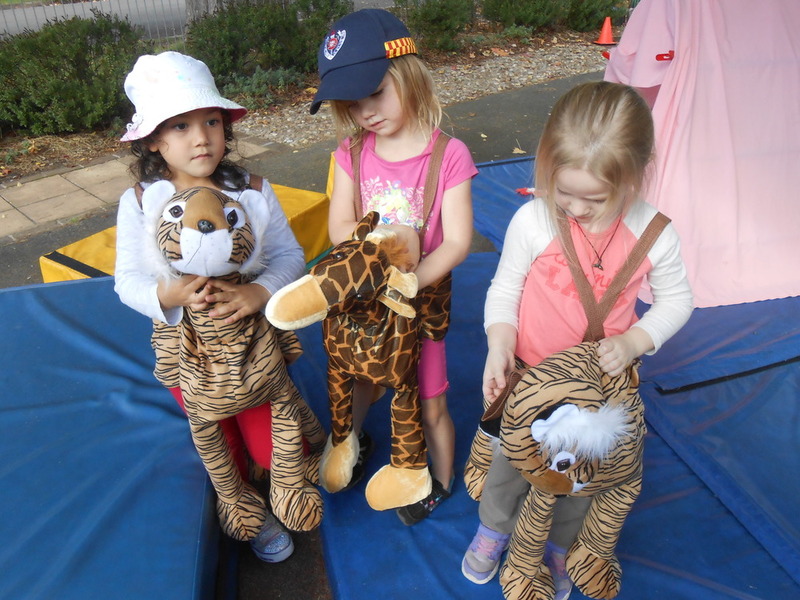 “Mariana’s social skills were very good when she started, so she had no problems making new friends straight away. “Kids today are facing a much more competitive environment at an increasing fast pace with their little friends, and when you have kids that are almost a year and 10 or 11 months older than you, things take a different turn socially and sports wise. A global trend in education has seen parents lean towards holding their children back, with research showing little academic benefit in starting early, and great sporting benefits in starting late. Malcolm Gladwell’s famed book Outliers explores the correlation between the age of starting sport and future success by analysing hockey players’ birthdays. He says that in many of the best leagues in the world, about 40 per cent of players were born in January, February or March, while only 10 per cent were born in October, November or December. The book explains that the cut-off birth date for youth hockey leagues was January 1, so children born in the first three months of the year were older, bigger and stronger than their peers, leading to obvious advantages in opportunities as they hit their teens. A New Zealand study also showed that the early introduction of literacy does not improve children’s reading development, and may even be damaging. By the age of 11 there was no difference in reading ability level between children who started learning at five and those who started age seven — but the children who started at five developed less positive attitudes to reading than those children who started later. So how do you know if your four- or five-year-old is physically, socially and emotionally ready for big school? Visit your local school and attend orientation days before you decide, recommends teacher Elizabeth Vincent. Fellow teacher Debra van Aanholt said the three main things she looked at was age, social skills and how they cope with change, as well as if they can dress themselves, go to the toilet unattended and pack their belongings. Mada Worathampitak was withdrawn from school after starting at four and eight months. She is now back at preschool for another year. 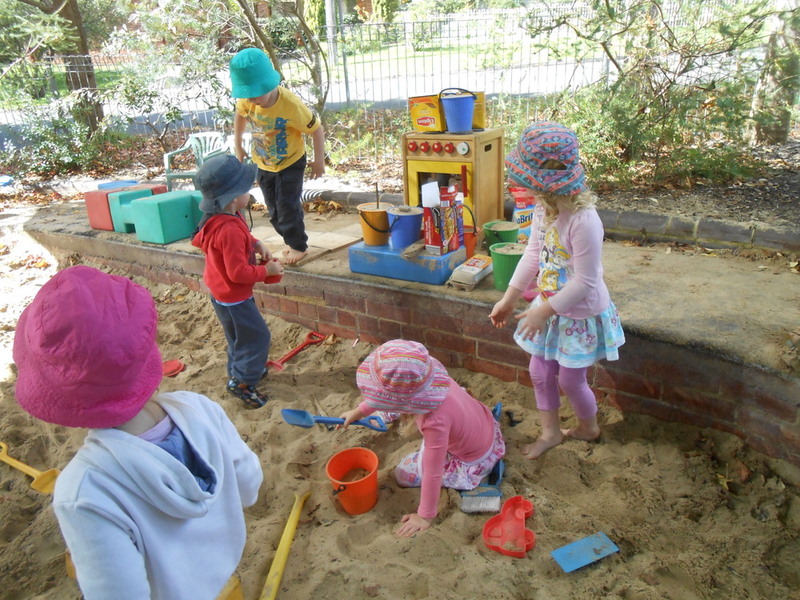 Another year starts at Mittagong Preschool and the familiar faces return, much discussion surrounding how much they have grown during the school holidays and then they quickly race off to reunite with friends from the past year. Soon, the new faces start to arrive. Some children bound through the gate, eager to meet their teachers, find their locker and explore the environment, almost ushering their family out the gate so they can start their day. Others apprehensively step out of the car and walk in, seemingly wanting to go unnoticed, smiling politely as the teacher greets them but mostly just seeing unsure about the whole 'preschool thing'. In some cases, starting preschool can mean tears, cuddles and reassurance from all obliging parties. All of the above scenarios are perfectly fine and developmentally appropriate. What teachers are acutely aware of during this transition process, is separation anxiety and how we can overcome these feelings of doubt whilst in partnership with the child and family. One thing we know for sure is, that all relationships are built upon trust. 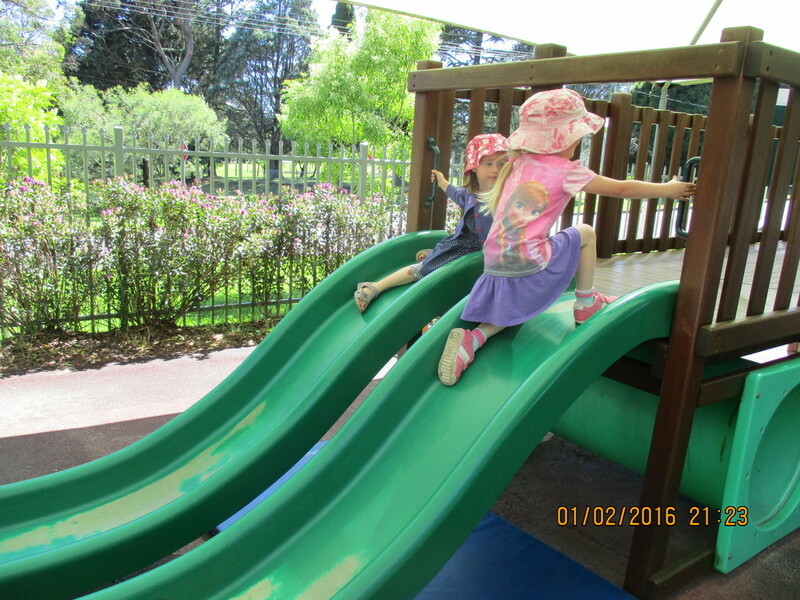 During the first few weeks at preschool, we aim to build this sense of trust and belonging. By including family photographs within the new setting, we aim to form an immediate link between home and preschool, thereby creating a sense of comfort in a somewhat unknown space. We also program based upon information provided within the enrolment forms - providing known resources and including interests forges a dialogue and encourages the children to talk about their home life, engendering an initial point of contact with staff. Teachers intentionally include a belonging wall of the children's photographs within the space, a visual reminder that we now see the child as part of the preschool community. We also intentionally create a routine from day one, so children know what is happening next, making their day more familiar. Know that transitions to new environments can cause in-trepidation, but how we deal with these changes, really makes a big difference in the child's overall sense of comfort. For more information I have listed a few web links. Kidsafe NSW is dedicated to reducing the number and severity of unintentional child injuries through promoting child safety. How do I build my child’s confidence for school? Some children adapt very easily to school. It is important that you do not display anxiety but talk about the excitement of attending school, without building this to an excessive level, and present school as the next interesting chapter in your child’s life. Visit the library and borrow books about children going to school. Download stories your child may like to read and read them on a computer or tablet. As a parent, reframe your questions about school, preschool and day care from, ‘What did you do today?’ to a more positive question such as ‘Tell me the best thing you did at school today’. This is a useful way of talking with your child after school – not just in kindergarten, but also throughout their schooling. · Start to get your child into regular sleep and waking hour routines. Children need to be in bed at a reasonable time so that they wake up refreshed. Do not have televisions or technology (eg computers or tablets) in the child’s room. If these items must be in the room, establish a routine, such as not allowing them to be on after dinner. This will help your child begin to relax and prepare for sleep. · Establish packing away routines with toys and encourage your child to help with simple tasks around the home. · Label your child’s belongings for school. Set a pattern that expensive toys and treasured items are not taken to school. If they get lost or broken, this can create a lot of anxiety for you and your child. · Help your child learn to dress themselves in their uniform. · Ensure your child can go to the toilet unassisted and teach them how to ask the teacher should they need to use the toilet during class time. · Practise walking or travelling to school. Transport for NSW has useful guides for parents. This includes information on student bus travel. · Become familiar with the many resources available to help keep your child safe as they journey to school, eg road safety education resources. · Have your child help you pack their lunch. Remember schools are nut-free zones, so consider carefully what to provide in your child’s lunch box. Many parents make the mistake of over-packing the amount of food a child will need in a day and children struggle to eat it. If you are unsure, ask your child to bring home any uneaten lunch so you can gauge the amount of food that is acceptable. Think about easy-to-open lunch boxes, re-useable water bottles, sandwiches, and fresh fruit and vegetables. Relax! If you are stressed, your child may sense this and worry. Some children have special or additional needs. If your child has an identified learning or other need, make sure you let the school know early so that a plan can be put into place to assist your child. Each plan will be different, so it is important to provide the school with all the information they will need to understand your child's needs. How can I work best with my child’s school? · get involved in school activities, eg attend children's reading sessions, join parents associations. If you need to see the teacher, it is wise to make an appointment. Prior to school, teachers have meetings and preparation to complete. It is not a good idea to expect teachers to meet with you as they are taking the children into class in the morning. This is a crucial part in your child’s day and it is important the teacher follows the established routines every day. Make an appointment to see the teacher if you are concerned about your child. Children do best at school when their parents and teachers work together to support them. What can I expect in the first few weeks of school? · pack a spare pair of underpants in your child’s bag. Talk to your child about how they can let the teacher know when they need to go to the toilet. What can I do if my child is stressed? It is important that you do not become overly anxious and stressed about school, as your child will pick up on your feelings. Some children become tearful and struggle to go to school. Remain calm but firm and reassuring. Try not to show stressed emotions, as this is often a signal to your child who will escalate the situation. Contact the school and seek their help. Often the teacher will be able to meet you and assist you during this period. Most children settle quite well once their parent has left the school, but if you need reassurance organise to ring the school. The teacher can leave a message for you at the office and you and your child will have a better day. Encourage your child to talk about what exactly is worrying them. Ask your child what they think might help them settle. Be clear in your expectations. Let your child know you are confident that they can manage. Letting the teacher know by letter or email is a good strategy, as the teacher will be there to help you. Your child’s older buddy may be a useful support in these situations as well.